During the holiday season an estimated 40 percent of shoppers use social media to plan out their shopping. Despite people being busier during the holidays, consumer interaction rates increase by about 46 percent on the most popular social media sites. Facebook is expected to be “the channel of choice” for the holidays, as 92 percent of marketers are planning extensive campaign efforts for the social media giant, alone. Instagram is also going to be a big tool during the holiday season; an estimated 73 percent of marketing professionals believe Instagram is going to be a breakout platform for this year’s holiday season. The holidays are a great time for companies to connect with their publics on a more personal level. Audiences can relate to companies when they see pictures of Christmas trees, Christmas cards, or photos from holiday parties. No matter which social media platform a company uses, it is important to use images in posts. Research suggests this type of content can increase engagement; many times, leading to increased sales. Because of society’s love for visuals, it is strongly recommended that image-based content be used especially during the holidays. By simply changing a cover photo to a holiday inspired photo, many companies see increased engagement. They might get even more involved with their audience by having have followers send in their holiday photos as participants in contests. Businesses also increase social media engagement during the holidays by implementing contests or giveaways. They also offer holiday special discounts or offers, for example, Applebee’s gift card deal. If a customer buys $50 or more in gift cards, they get a free $10 bonus card. 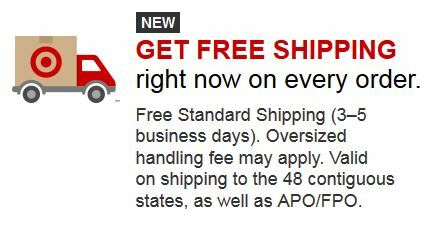 Companies might also offer free shipping for the holidays. Target is stepping up the retail competition this year, offering free standard shipping on every order until December 20. This not only gets shoppers to spend more money with Target, but it also gets them talking about the free shipping on social media. They may “like”, “share” or “retweet” content about the free shipping to followers and friends. Those friends may, in turn, “like” or “share” the post for all of their friends to see as well. Bluefountainmedia.com suggests that it’s still important to make sure to use the 80/20 rule when it comes to posts. The 80/20 rule means that 80% of all posts should be interaction driven while 20% of posts should be about sales and offers. The key to engaging publics during the holiday season is producing content that is holiday related and entertaining. The key for companies is to have audiences relate to them on a more personal level while producing content that gives them exclusive holiday deals. For more from Innovative PR, follow IPR us on Facebook, Twitter, and Instagram.